Every gardener knows the importance of a single month in the garden. 30 days can be the lifespan of a plant, the difference between a lush green garden bed and a frost covered wasteland, the tilt from impatient plant watcher to abundant harvester. A month can completely change the landscape in your garden, so we've broken down the gardening process month-by-month. 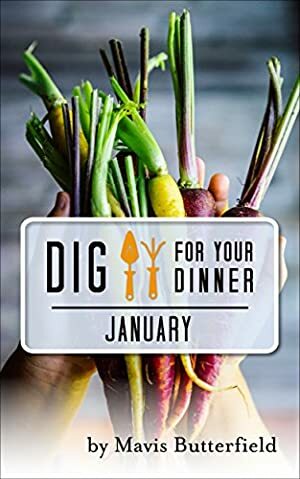 With the Dig for Your Dinner eBooks, you'll have fingertip access to monthly growing guides, seasonal gardening chores, timely harvest tips, and recipes tied directly to what is abundant in your garden. You'll learn about everything from succession planting to straw bale gardening; long-term seed storage to efficient crop rotation. Each month will give you tips on not only what to plant and what to harvest, but how to plant and how to harvest. The books are packed with delicious seasonal recipes, canning how-tos, and easy DIY gardening projects. The monthly format allows the novice gardener to bite off gardening in small pieces, not overwhelming chunks while the master gardener will glean new information from a seasoned gardener who has years of experience in all aspects of gardening: small-space, large scale, square foot, pallet, greenhouse, container gardening and more. Regardless of your experience level or the type of garden you are working, these eBooks ensure that, each month, you'll be ready to Dig for Your Dinner. Log In to track Mavis Butterfield on eReaderIQ. to be notified each time the price drops on any book by Mavis Butterfield. to stop tracking Mavis Butterfield. The price of this book has changed 8 times in the past 1,190 days. The highest price to date was $2.99 last reached on January 15, 2019.